● Available in a $10k version that comes with an app for murdering rival oligarchs. ● It’s apparently very good for arranging to meet people for coffee, which is really all that Apple users do with their lives. 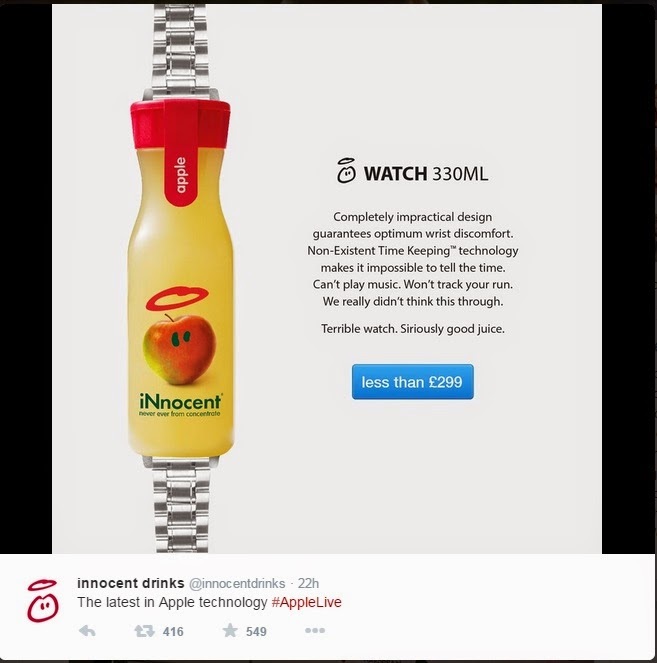 ● The iWatch tells you everything you need to do throughout your existence, making thinking redundant. 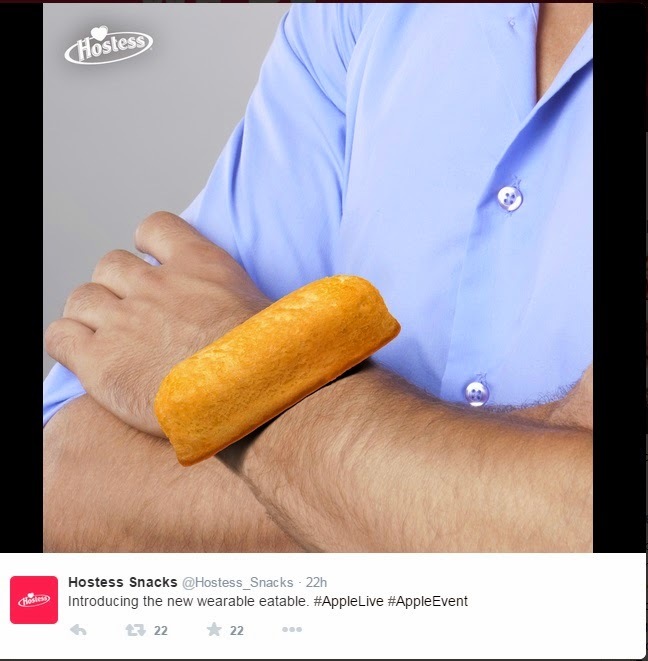 ● Costs roughly the same as an impossibly beautiful prostitute, if you want to weigh that up against a watch that reminds you to call work. 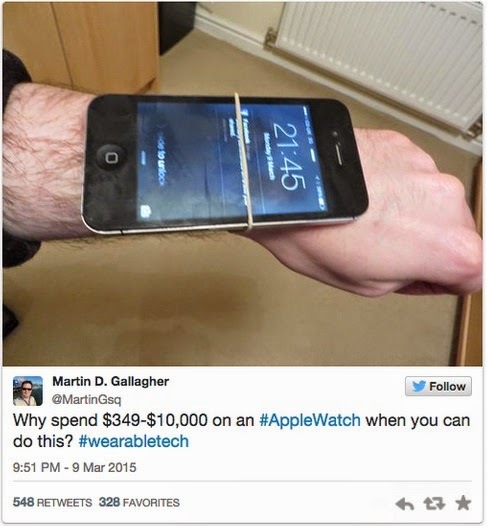 ● Every 1000th iWatch is possessed by the spirit of a deceased factory worker, which may or may not be vengeful. ● If you watched the launch live online you do not deserve to be alive. ● Your subconscious mind is already constructing reasons why you need it. 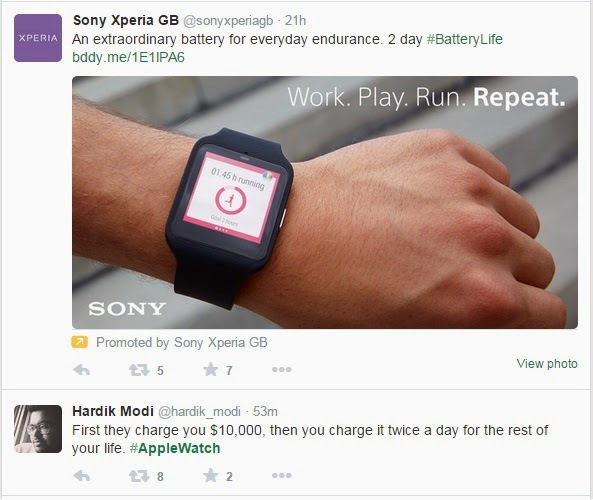 Note: Sony Xperia emphasised the fact that their battery endurance is 2 days, presumably concious that many consumers were complaining about the fact that the Apple Watch would need regular charging. 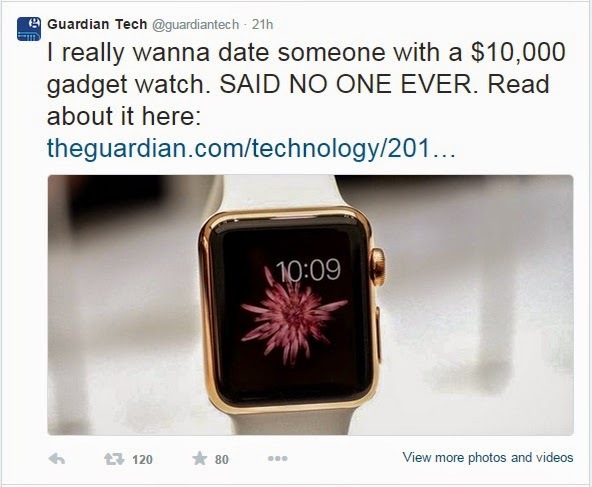 In addition to posting neutral articles about the features of the smartwatch and even praising a few of them, Guardian Tech's page was rife with posts condemning the product, the buyers and everything in between. Even the Foo Fighters and One Republic weren't safe! What do you think? 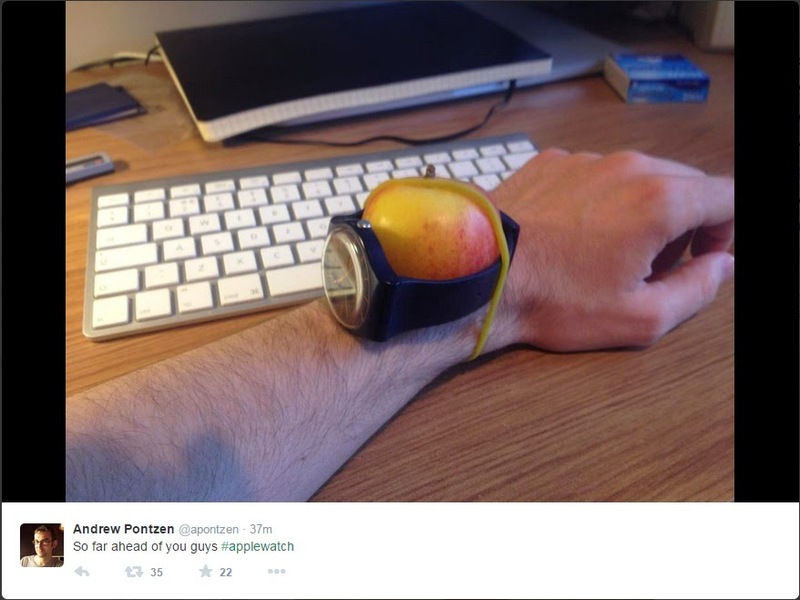 Is Apple's iWatch worth your time?